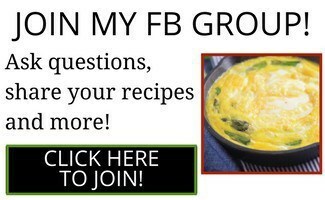 I get excited when I have a delicious recipe to share with everyone that involves a lot of spices. If you check out my video on how to correctly use spices, you will be amazed in the difference of flavor in your dishes. This Brazilian Chicken dish is the perfect recipe to get some practice in on using spices. It uses quite a few spices I mention in the video. The flavors of this Brazilian Chicken will prove to you how much of a difference a great spice will make on a dish. If you try just making chicken with salt and pepper. it will pass for a decent meal. However, if you whip up the right spices, you will make a chicken dish like this one that will blow you away with flavor with each bite. What is Tempero Baiano seasoning? Tempero baiano is a seasoning blend from Bahia, where it is used to add zest to savory dishes such as seafood, vegetables, soups, beans, stews, and sharp greens such as mustards or collards. It’s basically used as an all-purpose seasoning. Brazil has been blessed with such cultural diversity over the years, and Brazilian cuoisome reflects this diversity. The cuisine varies greatly by region, reflecting the country’s mix of native and immigrant populations. Through the years Brazilian cuisine has been influenced by African and European (especially Portuguese) settlers. The words themselves, Tempero Baino, mean Bahian seasoning. Like many such seasonings, Tempero Bainano has evolved across regions and homes, and now there are probably many different ways to make it. This recipe contains my version of it, which I hope you enjoy! If you like the flavors, use it with other meats and see what else you can spice up with it. 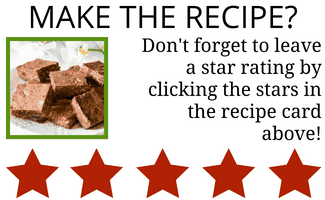 You’re going to be so happy when you make this recipe! Your whole kitchen is going to smell fantastic, everyone is going to think you’re a great chef (which, let’s face it, you are when you make food like this). Only you will know how easy it was to make this dish. The spice blend is a great one to use for all sorts of grilled meats and vegetables if desired. 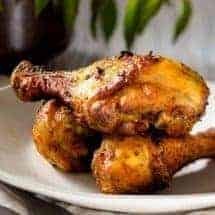 These Brazilian Tempero Baino Chicken Drumsticks will be a hit dinner just like they were for me which is exactly why I’m sharing this recipe with you. Isn’t the full recipe name absolutely beautiful too? It seems like a mouthful but, you’ll only add to that feeling of being a fancy chef when you let the recipe name roll off your tongue. Looking to try some more delicious Brazilian cuisine? Check out my delicious Instant Pot Brazilian Sopa de Palmito recipe. 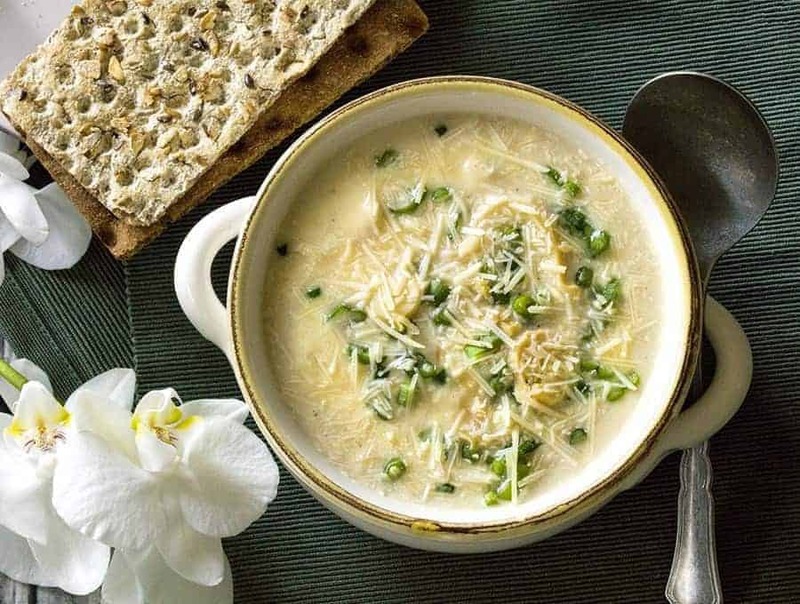 It uses just a few simple ingredients to make a creamy, tangy soup in minutes! 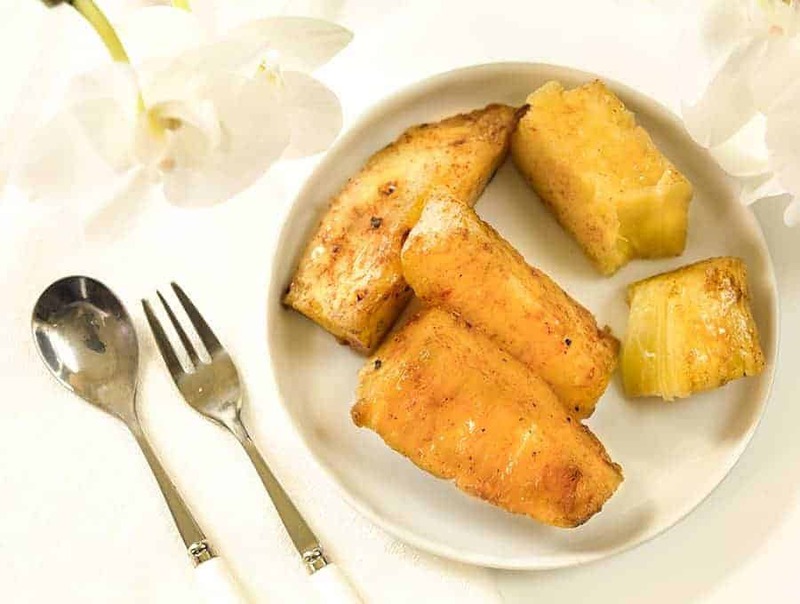 If you’re looking for a great Brazilian dessert to follow up these recipes, check out my Brazilian Grilled Pineapple recipe. This simple 4 ingredient recipe is absolutely mind blowing! 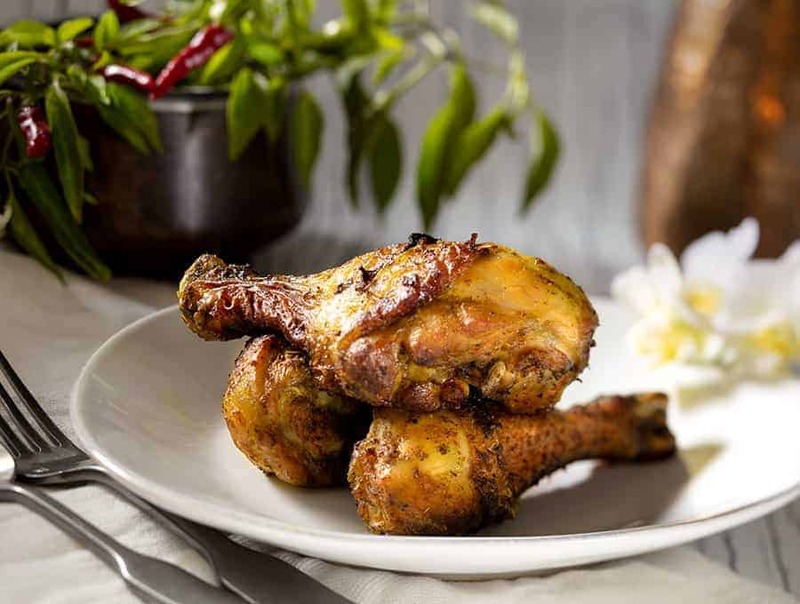 Can you believe that this is Tempero Baiano Brazilian chicken recipe is also keto-friendly? Well to be honest though, I don’t see this Brazilian Chicken as keto food, it’s just a delicious recipe that just so happens to be nice and healthy and bursting with flavor at the same time. This means your whole family will likely enjoy this air fryer Brazilian chicken, so you won’t have to make something different for everyone. Impress your friends and family with this delicious Brazilian Chicken recipe! 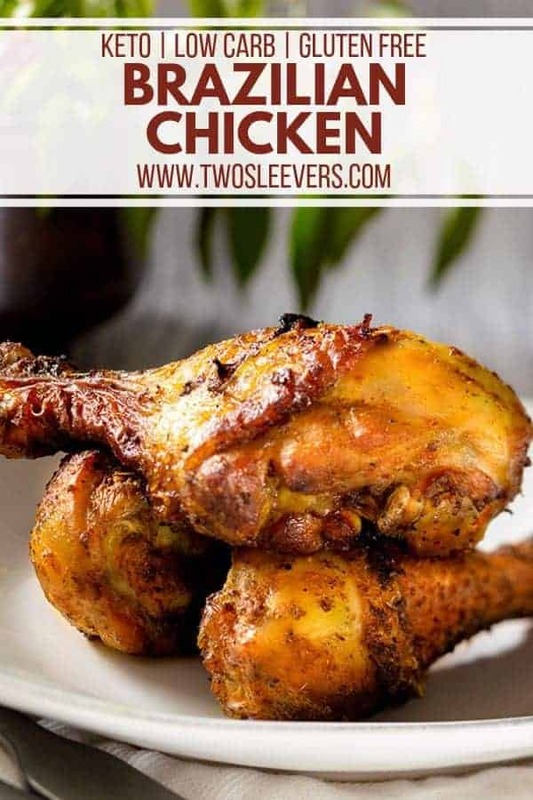 Only you will know how easy this air fryer chicken dish is! In a clean coffee grinder, blend together the cumin, oregano, parsley, turmeric, kosher salt, coriander seeds, peppercorns and cayenne pepper. In a medium bowl, combine the ground spices with the lemon juice and oil. Add the chicken drumsticks and turn them, coating well with the marinade. Allow the chicken o marinade for 30 minutes or up to 24 hours in the refrigerator. When you are ready to cook, place the chicken legs into the air fryer basket, skin side up. 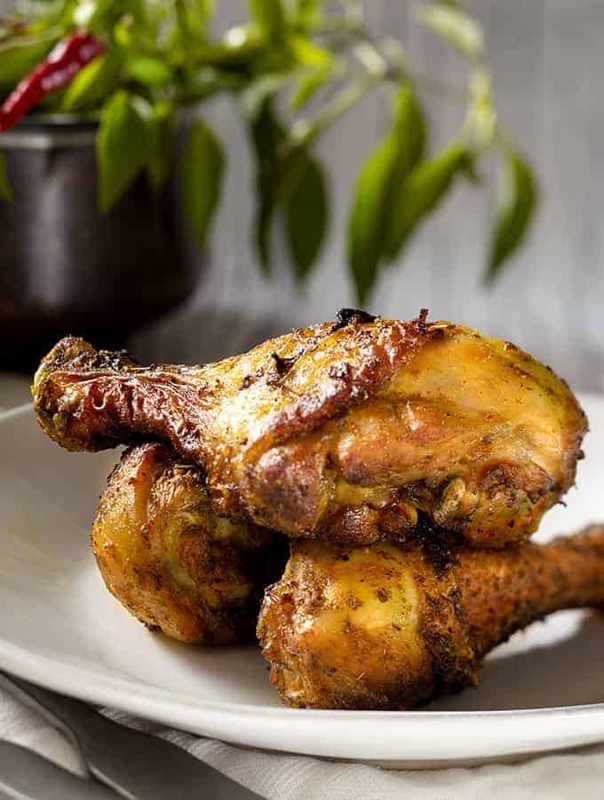 Set your air fryer to 390F for 20-25 minutes for meaty chicken legs. Halfway through, flip the chicken legs over. Use a meat thermometer to ensure that the chicken has reached an internal temperature of 165F. Remove and serve with plenty of napkins. 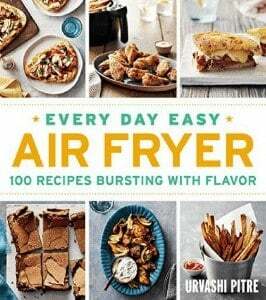 Delicious and easy – favorite dish out of the air fryer so far! 4 stars, until I actually make this! Urvashi, I want you to adopt me. You read my mind. 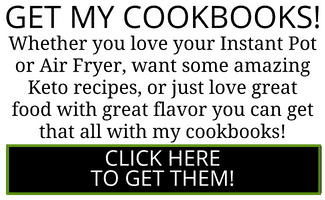 I just received my honest-to-gosh airfryer, and you presented me with a nice, gutsy recipe to try. I going shopping!